Dress for success but never sacrifice comfort with the Dansko Hollie. This heeled bootie has an upper made of premium leather with detail cutouts and an adjustable buckle to add to the vintage appeal. Inside, the leather linings wick away moisture and the leather-wrapped PU footbed provides support for all day wear. With a steel shank for lateral stability, you’ll get a slight boost in height while still feeling stable. The Hollie also has a durable TPR sole to ensure traction. 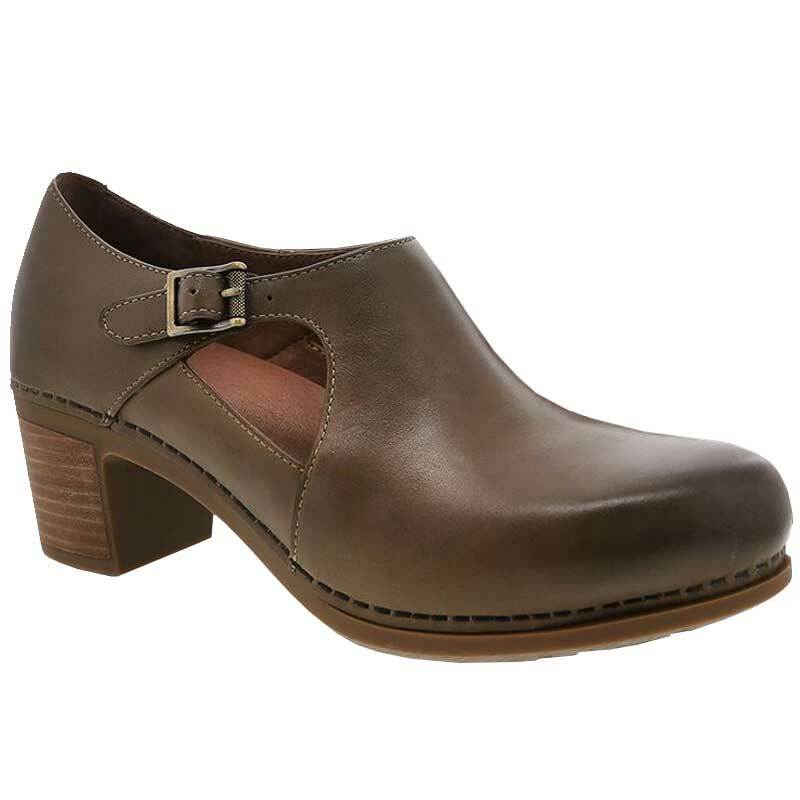 Add a tailored touch to your wardrobe with the comfortable and classic Dansko Hollie.